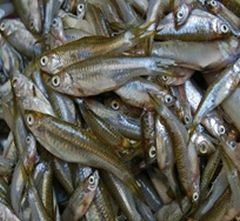 Compounds in an Asian fermented fish paste could help reduce high cholesterol. Selangor, Malaysia, Sept 11, 2017 - (ACN Newswire) - Compounds in a fermented fish paste used as a condiment in Indonesia efficiently inhibit an enzyme involved in cholesterol synthesis, reports a study published in the Pertanika journal Tropical Agricultural Science. A bioactive compound known as lovastatin, found in high concentrations in the extract, successfully inhibited HMG-CoA reductase in an experiment designed to test the enzyme's activity. Another peptide with a larger molecular weight was also found to inhibit HMG-CoA reductase with high efficiency. During the fermentation process, bacteria help break down proteins into peptides and amino acids. "The use of Lactobacillus acidophilus as a starter culture in the fermentation of bekasam increases the bioactive compounds of HMG-CoA reductase inhibitors," write the researchers in their study.